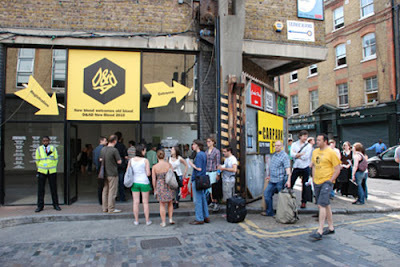 I'm going to be at the D&AD New Blood event on Monday offering the benefit of my experience over the years to anyone who fancies it. Well, specifically, anyone interested in a creative career who feels they need to ask a few questions about getting there! I'm there with my friend Richard Hogg, as well as fellow crayon-wangers Luke Pearson, Anna Fidalgo, Jamie Wieck and Guy Moorhouse from Airside and a few others. My slot is 12-1. Pack some sandwiches and come along!